Bag a fun-filled day out! We’ve teamed up with Merlin Entertainments to give away free tickets to over 20 top UK attractions – woo! 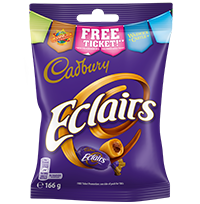 Just pick up a promotional pack of choc to get your free ticket*. *with purchase of a full-priced adult ticket. Find your voucher on selected promotional packs. Cut the voucher out and take it along to your chosen attraction between 1st May 2018 and 31st July 2019. Purchase a full priced adult ticket to get an additional ticket for free on the same day! With over 20 top UK attractions to choose from, you’ll be struggling to decide which one to visit first! Discover an island like no other with over 30 thrilling rides, fun attractions and exciting live events. Explore over 55 interactive rides and attractions including the UK’s only LEGO Star Wars Miniland Model Display. Enjoy astonishingly close views of sharks, turtles and magical seahorses from underwater tunnels and bubble tanks. Step into the kingdom of Far Far Away where amazing DreamWorks animations and captivating storytelling awaits! 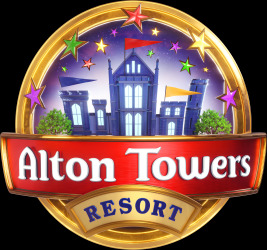 With over 50 rides and attractions, two themed hotels, woodland lodges and luxury treehouses, Alton Towers Resort is Britain’s Greatest Escape! 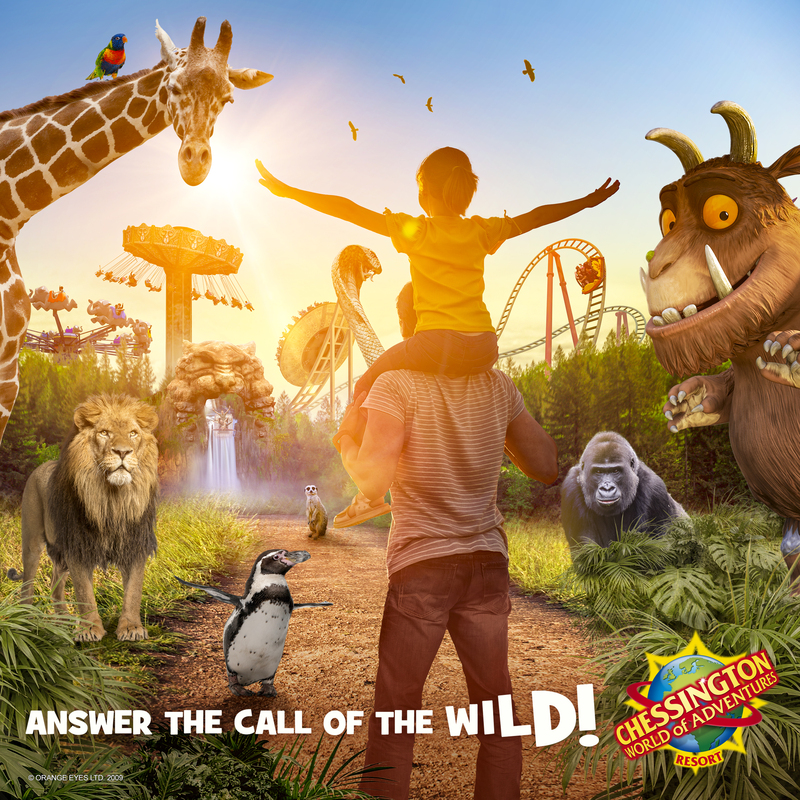 Visit Chessington for the year of Roar and Explore - the wildest year ever with new attractions and events. Journey back to the past's most horrible bits! With immersive live shows, thrilling rides and hysterically horrible history. 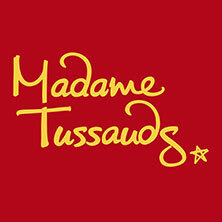 Rub shoulders with the stars, and party like a rockstar at the UK’s favourite wax attraction. Surround yourself with jaw-dropping history, magic, myth and adventure at the legendary Warwick Castle. Visit the only fully operational seal rescue centre in Cornwall, situated in 40 acres of stunning Cornish countryside. Discover one of Britain’s best loved landmarks, hosting amazing attractions and events for all the family to enjoy. The Island is overrun by walkers and there is but one goal: survive. Making it to the sanctuary of the Safe Zone is vital for salvation. Located at the centre of the Island, navigate your way to the safety of the indoor bunker - but be warned. All signs point to an imminent invasion of Walkers, so keep your head down and move quickly for your best chance of staying alive. 2018 sees the launch of Wicker Man – bringing together cutting edge special effects with classic wooden coaster technology for the first time! 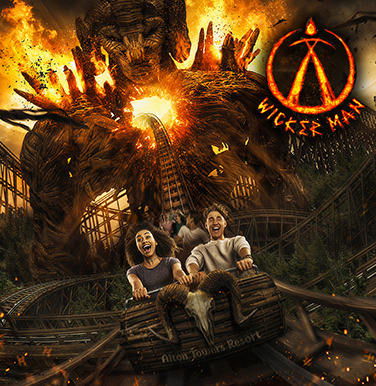 Wicker Man is the UK’s first new wooden coaster built in over 20 years and joins an amazing line-up of world-class rollercoasters including Galactica, Nemesis, Oblivion, The Smiler and Rita! Welcoming a family of four endangered Amur Tigers, ‘tigers truly rock’ at Chessington World of Adventures Resort in 2018, with the launch of Tiger Rock on Saturday May 5, an exhilarating log flume ride in Land of the Tiger, featuring a new innovative big cat enclosure with Europe’s first overhead trails. What do I get with my promotional Merlin voucher? 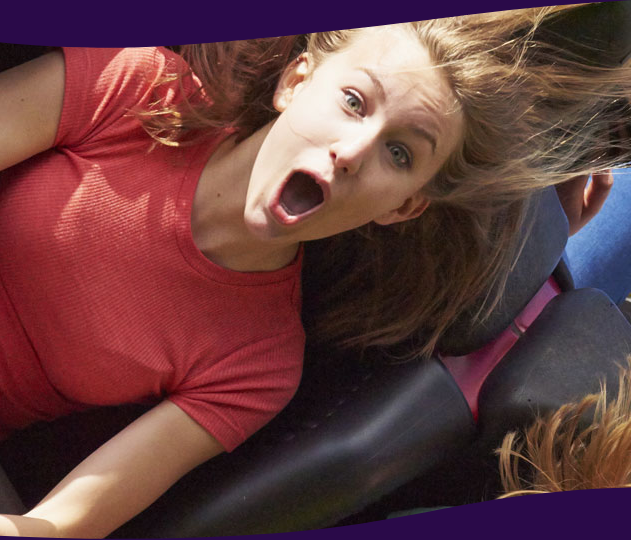 Simply buy a full priced ‘Adult’ entrance ticket at the attraction entrance and one other person will enter the same attraction on the same day, completely free of charge. How old do you need to be to purchase an ‘adult’ ticket? Good question! The age of an adult varies for each attraction. 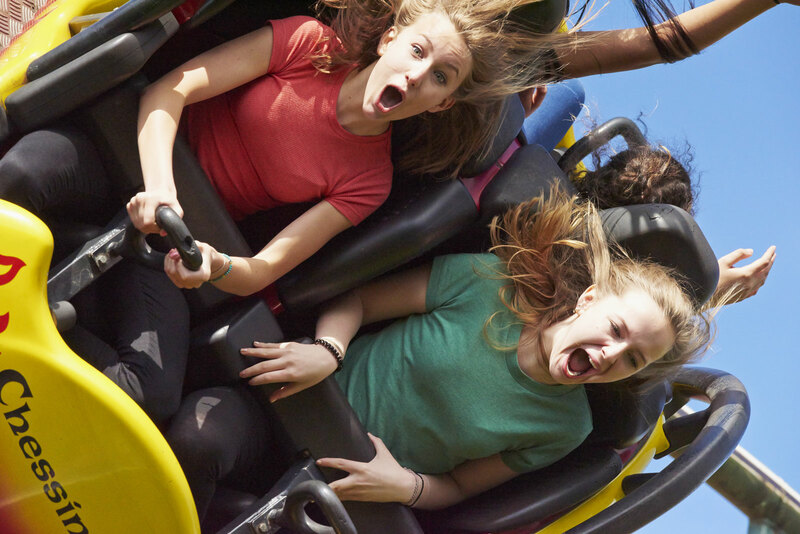 Adult is 12 and over at the Alton Towers Resort, THORPE PARK Resort, Chessington and Warwick Castle. 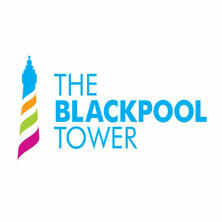 15 and over at SEA LIFE centres & Sanctuaries, Madame Tussauds Blackpool, The Blackpool Tower Dungeon, The Blackpool Tower Eye and The Blackpool Tower Circus. 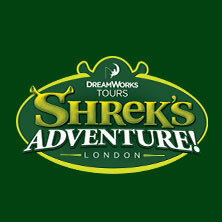 16 and over at Shrek’s Adventure! London, LEGOLAND Windsor Resort, Madame Tussauds London, SEA LIFE London Aquarium, Weymouth SEA LIFE Adventure Park & Jurassic Skyline, London, York and Edinburgh Dungeons. And 18 and over at LEGOLAND Discovery. When will my voucher expire? 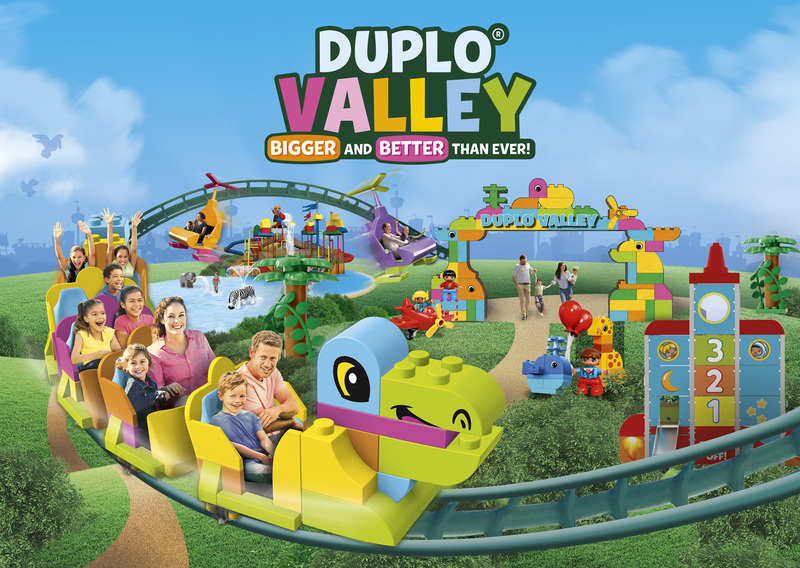 Vouchers are valid until 31st July 2019, so you have plenty of time to visit your favourite attractions. When do the attractions open and close? Please check attraction websites for opening dates and times before your visit. Can I share my voucher with a friend? Yes, you can share the voucher with your friend, but remember each voucher can only be used once and will be taken in exchange for your tickets. Click here to read the full terms and conditions or call our careline on 0800 818 181.